Mid-19th century Cape Cod is no place for a woman alone. But Hannah Snow has no choice. When her husband, John, vanishes without a trace, she bravely steps into the role of lightkeeper, which includes attempting to rescue shipwreck survivors. When weeks go by and John’s horse is found without him, she takes on Billy Pike, one of her rescues, to help with the grueling responsibilities. But Billy has secrets that, once revealed, will shake Hannah’s confidence. Will Hannah learn to accept Billy for who he really is? 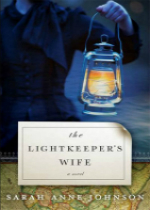 Sarah Anne Johnson’s The Lightkeeper’s Wife is a compelling tale from beginning to end. Lightkeeper is made all the more compelling by knowing that it’s a story drawn from actual experiences of women sailors and pirates, who often took on jobs meant for men when their husbands or fathers died. Johnson reveals that The Lightkeeper’s Wife was inspired by a photograph of Grace Darling, famed for rescuing survivors from the shipwrecked Forfarshire, a brigantine-rigged paddlestreamer, in 1938. The combination of historical accuracy and her wonderful ability to tell a story set Johnson apart in the sea of historical fiction. Says Johnson, “I use history as a catalyst for the story, but I don’t stick to the facts. I embellish and embolden as the story unfolds.” Embolden away, Ms. Johnson. I have fond childhood memories of Cape Cod and Johnson brings them to life with beautiful descriptions of a landscape she clearly loves. The sea and the scape become characters in themselves through Johnson’s vivid prose. And Hannah Snow is a daring, determined and hearty young woman. Yet she’s also decidedly feminine. Johnson creates great depth in her characters. 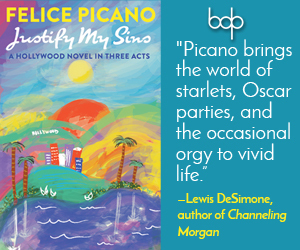 The reader will cheer for Hannah and feel a connection with the supporting characters as well. 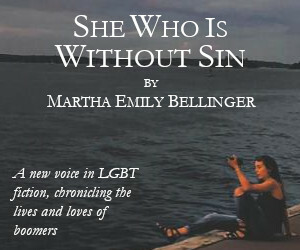 The Lightkeeper’s Wife explores themes of sexual and gender identity, alcoholism, love and loss. In Johnson’s deft hands we feel the joy and anger, the fear and expectation, and the developing intimacy between Hannah and Billy. Are “masculine” and “feminine” just social constructs? Does gender define our motives and characteristics? What does it mean to be a man or a woman? The questions will linger long after the last page has been turned.